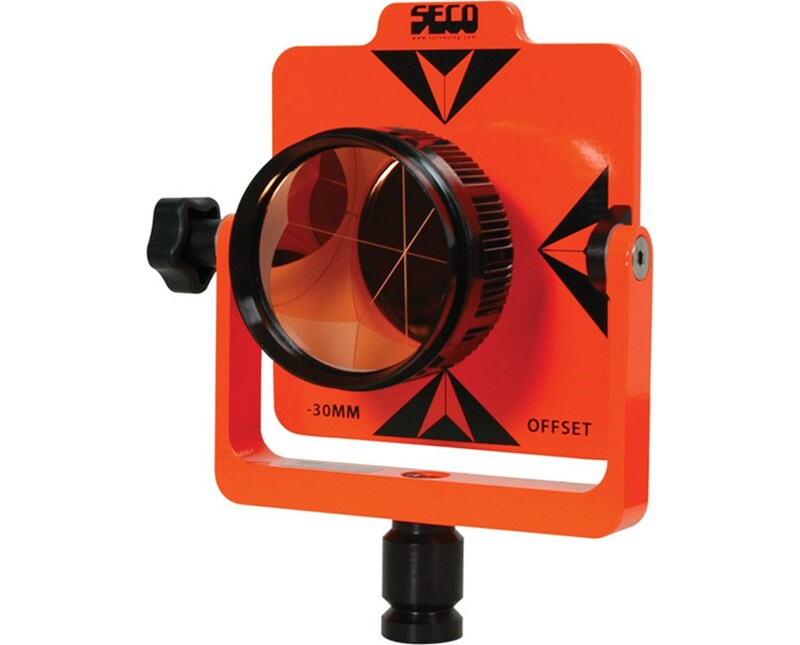 The Seco Aluminum with Copper Prism Assembly 6440-00-FOR is a combination of 2 components – the copper coated prism canister #6411-02-BLK and the aluminum prism holder #6375-00. 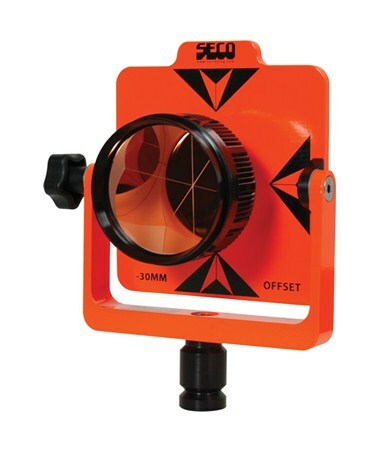 The 25 mm copper-coated prism can be switched to either 0 mm or -30 mm offset positions and the single survey prism has close to 5 second accuracy. The holder is compatible with any 5/8 x 11 thread and positioning the tilt to the desired angle is made easy by securing the small knob on the side. The target and holder is coated in powder paint which makes it rust-resistant. It comes in bright colors fluorescent orange. This durable prism assembly comes with manufacturer’s warranty for 1 year.